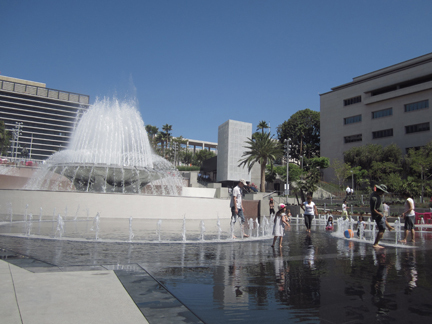 Civic Center Mall, known since the summer of 2012 as Grand Park, Los Angeles. 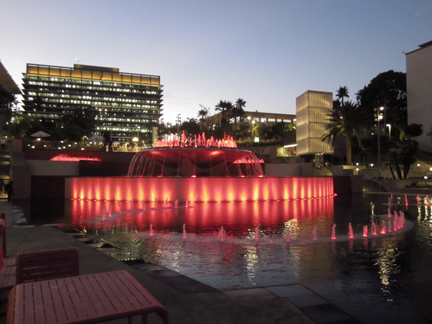 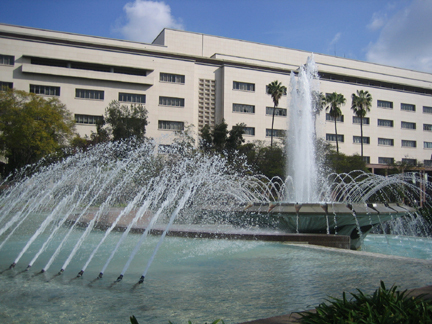 The fountain was constructed in memory of Arthur J. 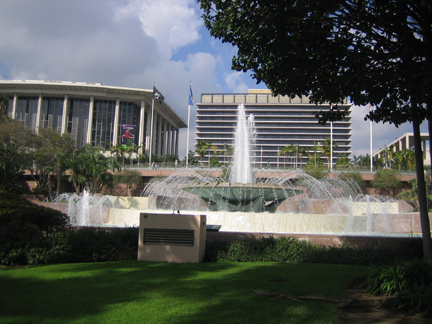 Will, chief administrative officer, County of Los Angeles, 1951-1957, whose vision and leadership for more than 25 years of service to this community helped provide this great civic center as a symbol of good government and an inspiration for cultural growth.